The name of the Hamburg School refers to a method of interpretation of astrology innovative than the traditional one. by a first pitch transmit similar vibrations, clearly detectable on a second tuning fork as received. Likewise likened this process to that of the vibration of the stars in our solar system and came to the conclusion that anybody on planet Earth, by virtue of its emanation or evolution, comes into contact with the chemical and therefore thermoelectric Sun and the planets. Using the universal physical laws (with reference to physical Helmholz – see “Der Mensch” page 19. ), Witte acknowledged the validity of the influence of the planets on Man. In his articles, Witte tried to prove the astrological principles with physical reality- astronomical. Witte had a creative mind. The astrologer Charles Harvey who wrote the preface to the conference Udo Rudolph in London (published by English Astrological Association in 1973) recognized its genius with the following words: Witte had the most fertile and original mind that astrology had produced in last 100 years. Witte had thoroughly studied astrology Classic but moved in an innovative way and over the years published more than 40 articles in journals, since 1913 although his main works happen to the period 1919-1925. They are collected in the book “Der Mensch” Man, a receiver of cosmic influences, the Witte-Verlag Publishing House. In those years, around Alfred Witte – spiritual director and leader of the new astrological thought-gathered two personalities: Friedrich Sieggrun, organizing meetings and conferences, and Ludwig Rudolph, editor of the texts. Rudolph, then Udo Rudolph Verlag (1988-2005), now again Witte-Verlag, was used for the dissemination of texts. 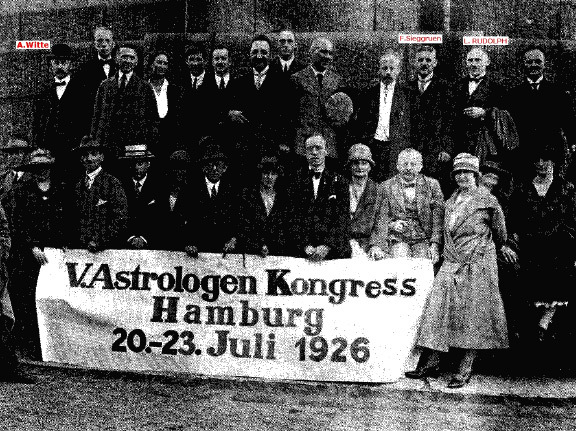 The December 27, 1947 was founded ASHS (Astrological Society Study-Hamburg School) by Johann Rose, Ludwig Rudolph Hermann Lefeldt, Werner Ritter, Heinrich Schacht, Friedrich Heeger, Albert Berndt, Otto and Willi Wilms Hellberg. Was started by Ludwig Rudolph. The ASHS took a lot of work over the years having Witte passed on to his followers and disciples a defined, limited and comprehensive interpretation of the notions innovative but mostly accompanied by many valuable suggestions. They required over time the screening of the verification and validation, so the ASHS pledged since its inception to build an ordered system of work in order to establish a method. Several study groups were established first in Germany and elsewhere, and each group had its autonomy, extending and completing the signs of Witte. 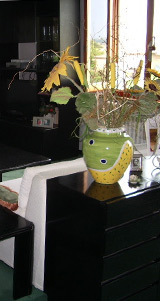 publishing for years the magazine Urania. Currently expressed through the web-site created and maintained by Meira Epstein. Its founder Charles Emerson to his death, he left the office of President Nona G.Press that has kept for 12 years. Currently the board is chaired by Liane Thomas Wade. The Hague based on a proposal by Udo Rudolph together with the group of lecturers present the 2nd Congress Uranian held in The Hague. The IUF collects Uranian astrologers U.S. nationals, German, Dutch, Italian, Thai and disseminates the research of its members through conferences located between Europe, the U.S. and Asia. This last square is of considerable importance, in fact, the largest group of Uranian Astrology is in Thailand since 1972, and has roots Hamburg, as we shall see. The History of the Hamburg School was troubled especially considering the time of his birth and his first becoming that coincided with the early years of Nazism during which astrology was banned and its leaders persecuted. The publisher Ludwig Rudolph was captured and interned in a concentration camp in 1941. All publications and writings were confiscated. In particular, the 3rd edition of the text: Regelwerk fur Planetenbilder was banished October 2, 1936 the Reich Culture Ministry, and then confiscated January 23, 1937. Later, March 3, 1939 the ministry of “Propaganda” allowed free export of 500 books. But the books had been burned. In August 1939 the Ministry of Propaganda wrote to Ludwig that they had no fault of banned books. The Nazi era was painful for Witte. Harassed, threatened and persecuted by the political authorities found refuge in suicide (Summer 1941). A new association of the Hamburg School was reconstituted two years later, renewed its components but with the same name ASHS . The early postwar years were engaged in the reconstruction. School of Hamburg was not given any compensation for the damage suffered, it also was active in the climate of hostility of traditional astrologers. Despite the difficulties, in 1950 Ludwig Rudolph was the first astrologer to write on the Spiegel magazine. As of December 1960 the newspaper Hamburger Hefte was spread throughout the world (North America and South America, Africa, Europe and Asia: India and Thailand). extensive correspondence between Bertucelli Penny and Udo Rudolph, and Bangkok, thanks to a great admirer of the school in Hamburg, then col. Prayol Pol-Aree. Ludwig Rudolph was still and always the privileged point of reference of these reports. For example: the col. Prayol Pol-Aree was his pupil in Hamburg. 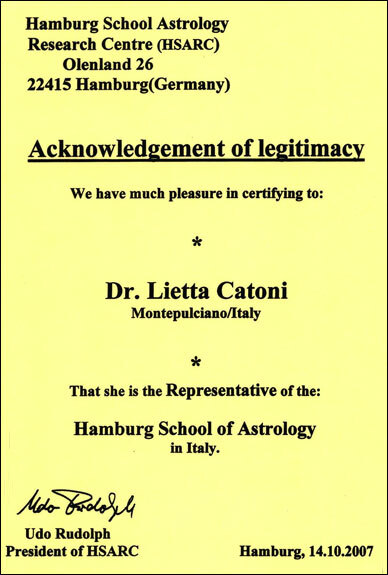 The privilege that gave the method of Witte Astrology above any other method of interpretation was witnessed by journalist and writer Tiziano Terzani in his book entitled: “A guess she told me” (cf. editions TEA, and Longanesi C., Milan first edition 2004 ). Prayol Pol-Aree and Ludwig Ludwig became friends and in 1975 he was invited to Bangkok. Udo was to accept the invitation and represent the sick father. The conference in Bangkok had resonance and success for Rudolph and the ASHS . Other autonomous cells were formed over time in Riga (Baltic Astrological School) – where Udo was a teacher and the method Uranian – and Moscow, where two young independently Uranian astrologers Denis Kutalyov and Konstantin Arev since the end of 2003 had triggered courses educational publishing at the same time a Uranian Astrology Encyclopedia After a busy correspondence with Kutalyov, Udo Rudolph was invited to a conference in Moscow in September 2004. Scattered cells of Uranian astrologers are a bit ‘anywhere in Europe and overseas. Even in New Zealand, South Africa and Japan and in 2001 in Italy. Each Uranian astrologer would have a whole personal story to tell about his journey of learning that is not easy outside of direct teacher-student lessons. 3. The Point of Aries is added to the other planetary factors in the interpretation of the horoscope because the Cardinal Points (turning points in the Earth’s revolution), astrology Witte are considered of equal importance to the AS and MC in the individual card. Indicate the presence of the individual to the group, the nation, the world and its events which affect the individual destiny. The point of Aries (0 ° Aries) was preferred because of its connection to the Spring Equinox, a time when the day length is equal to that of the night at all points of the Earth. And also because the degree 0 ° Aries marks the beginning of the Zodiac. 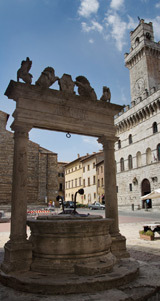 It represents the outer world of the individual and the public dimension of his life. And ‘especially those which are active in various capacities in a public role. Meridian, Ascending, Point of Aries). It is “Hypothetical Planets”, because they were the “hypothesis” of astronomical bodies formulated separately by Witte and Sieggrun. Rudolph put out that the use of the Transneptunians is not to put into practice the Uranian Astrology, which can also be practiced without Transneptunians provided that ‘ horoscope is examined through the symmetrical structure and mathematics. However Transneptunians are certainly part of the research project initiated by Alfred Witte (who used only his fourth!). Therefore, according to L.Rudolph, the order of importance in the interpretation is given for the first symmetrical structure, then the Personal Points, then to TNp. book, the fruit of teaching and collaboration with Witte. The two authors were based on the 3rd edition of about 1500 Rulesbook whose texts were burned by officials of the Third Reich. Fortunately, the prof. Hans Muchow, Udo former teacher of high school, I had a copy that he gave generously to Ludwig. It was the starting point for the new Rulesbook mentioned above and for subsequent editions. Numerous reprints in English are taken care of the publishing house of Penelope Bertucelli (Uranian Books, Florida USA) since 1990. Currently it is the “distribution” of the Witte-Verlag (Penelope Publications) for the English language. In the 70′s distributor in the U.S. was Fred Reider (Poseidon Press, Franksville- Wisconsin). 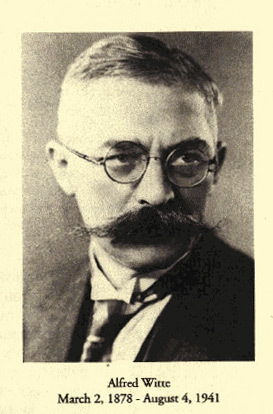 Jakobson was the editor of Books and published the best books Uranian. It was a personal friend of L.Rudolph. The history of the Hamburg School continues in various forms and associations in the present time and is spread all over the world.